I had been looking for a new evening scent for quite some time and stumbled upon Burberry Body by chance. I was at my local Winners (Canada's version of Marshalls) and I saw that the 60ml bottle was marked down from $50 (which is already a bargain) to $30! SO! I took a chance and bought it without smelling it in store. I had mixed feelings after opening it and smelling the cap; it had a very musky, somewhat oriental tang to it(not a big fan). To be honest at this point I was a touch disappointed. I usually do a lot of research before I buy a perfume, but this time I jumped the gun and just went for it. Nevertheless! I gave it a chance and the next day I put it on in the morning and gave it a go. By mid-day I was smitten. When it hits the skin, the scent sweetens (with fruity and vanilla notes) and balances the strong musky notes. Another thing I like about it was that it wasn't too strong. It gives off a sweet, alluring smell that is very gentle to the nose. I initially thought that this would strictly be considered an evening perfume but you could definitely wear it throughout the day. Some would argue that the scent doesn't last. 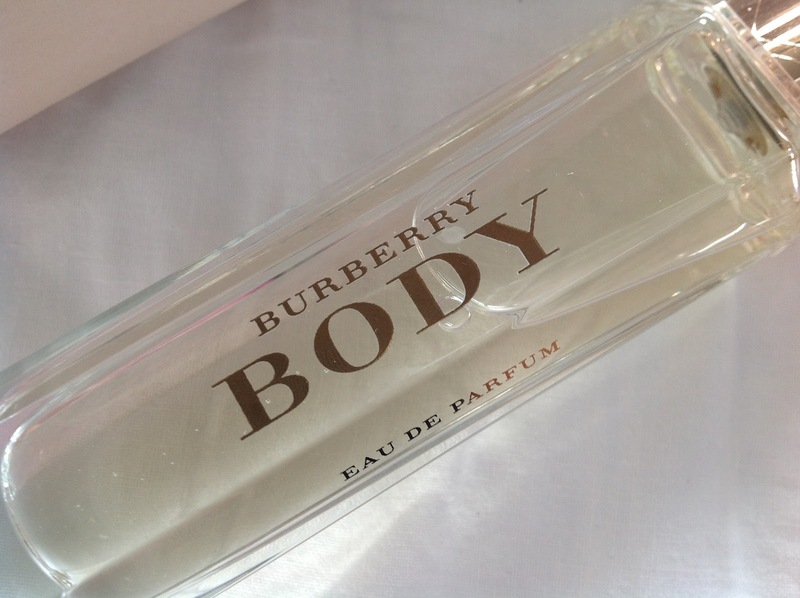 Personally, I really like this about Burberry Body because while it is a very provocative smell it is also very soft and genteel. I don't want to be that person at uni riding on public transport giving people headaches with their perfume. My family and friends could still smell it on me at the end of the day, so I was satisfied. Isn't that ultimately what we all go for when I wear perfume, anyway? As long as others can smell it the perfume has done it's job. I would recommend going to your nearest perfume counter and give it spritz. See how your skin reacts with it throughout the day! I want to know what your go-to scent is! what have you been reaching for, recently?? This sounds lovely! I just bought Daisy Eau So Fresh and literally just wrote about it on my blog. Bought it mainly for the bottle but happen to actually love the smell too. It's also quite gentle and sweet. I LOVE this perfume!!! I bought it a few months back. I have never had so many people ask me what I am wearing before. Glad you like it too!